Charlotte, North Carolina. Between the running of the NASCAR’s Nationwide History 300 and the CocaCola 600, Global RallyCross [GRC] will debut for the first time in front of NASCAR fans under the lights of Charlotte Motor Speedway on this, one of the biggest weekends on the American motorsports calendar. Holding the first round of the 2012 GRC at Charlotte Motor Speedway is a significant step forward for GRC in their effort in bringing RallyCross to mainstream American motorsports fans. The NASCAR fans that stick around after the History 300 will not be disappointed as we expect the opening round of the series to be some of wildest racing seen on this storied NASCAR track. In the USA, the sport of stage rally has struggled through the years to draw NASCAR and other mainstream motorsports fans from the comforts of track style racing. Hiking miles into the woods to watch single cars pass one-by-one just did not appeal. Nonetheless, in recent years Rally has gained some popularity with the younger set that have strayed from the beaten path their parent’s made to NASCAR tracks, and NASCAR has taken note. From its humble beginnings at Lydden Hill race track in England in the late sixties, RallyCross has seen a steady rise in popularity throughout Europe. Now, with thousands in attendance and regular television coverage of the championship events throughout Europe, veterans from Europe are looking to the U.S. as the next home of the sport. Rally America made the first push to introduce European style RallyCross to American fans in 2010, with several very successful events staged at New Jersey Motorsports Park. Manufacturers Ford, Subaru and Hyundai would all dip their toes in the RallyCross pond to test the waters in 2010. As we moved into 2011, the series changed hands to the Global RallyCross Championship [GRC] and the manufactures followed. The 2011 Championship was contested over three rounds in Irwindale, California; Seattle, Washington and Pikes Peak International Raceway in Colorado, before concluding with the XGAMES. 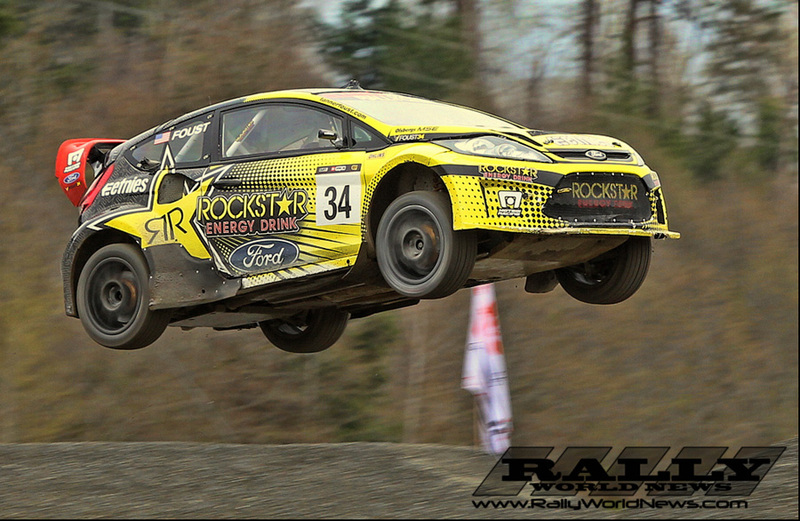 Despite losing out to Liam Doran for XGAMES gold, Tanner Foust would claim the overall GRC title in 2011. There had been some grumblings from some the RallyCross faithful in Europe during the first few years of U.S. competition that it lacked proper tracks, the format was wrong and it was not affiliated with FIA. 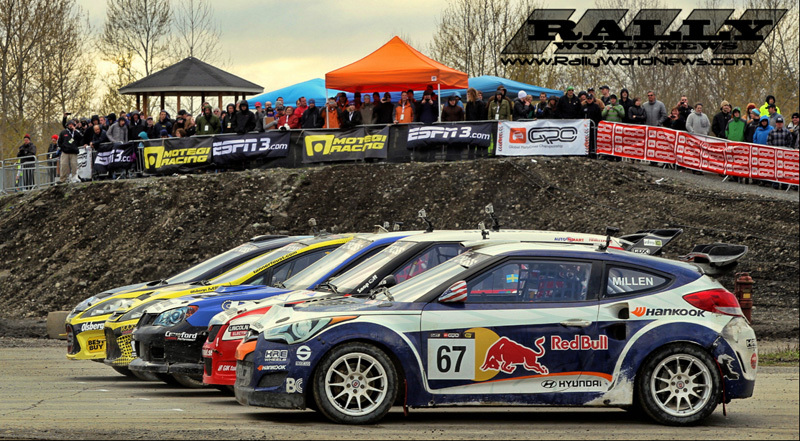 Nonetheless, GRC organizers have continued down the path of tweaking the sport for the U.S market. Although I would like to see more dirt and more track curbs for the cars to lift off, the in-your-face layout at Charlotte promises to be engaging. 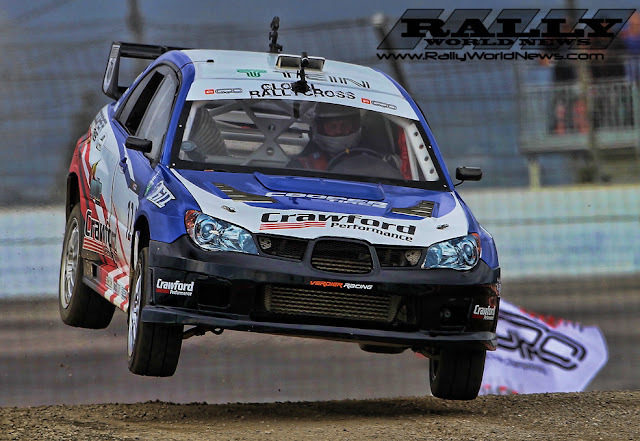 As GRC moves towards the first round of the 2012 Championship the attraction to this highly charged form of door-to-door racing has continued to gain traction with both U.S. fans and car manufactures. Ford racing, in conjunction with Olsberg MSE, continues to put significant investment into the development of their Ford Fiesta in the pursuit of their second GRC title. Leading the charge for Ford will be Tanner Foust. Tanner, who is currently leading the 2012 European RallyCross Championship, is pegged as a hot favorite for the win in Charlotte. Nonetheless Foust should expect stiff competition from within the Ford Racing camp. Rockstar Energy teammate Brian Deegan, for one, has already proven his ability at XGAMES rally. Deegan, who has also dominated the off-road trucking world taking both Lucas Oil Pro 2 Unlimited and Pro Lite Unlimited Championships in 2011, comes in with maximum seat time, which is always an advantage. Olsberg will also run two additional cars for Team Best Buy. One with multi-time WRC Champion Marcus Grönholm. Marcus claims to be more focused than he has been in years and is going all out for the championship. 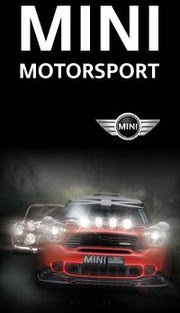 Up and coming British Rally Cross driver David Binks will partner with Grönholm to make up the 2-car Best Buy team. Olsberg will also enter Toomas Hekkinen as a team driver in yet another Fiesta. If he is not under team orders this exceptionally talented young driver could very be in the hunt for a major upset. "I see the future of rallycross in the U.S. and I'm looking forward to being part of a great show … Now I'm ready to fight for the glory with superstars. I've followed XGAMES since I was a kid, so it is my dream come true to join in," said Hekkinen, rallycross champion in his native Finland. Monster World Rally Team driver Ken Block should also be a top three contender, given his experience in the WRC and his massive tire shredding time behind the wheel of his Ford Fiesta during his many Gymkhana productions. But Block does lack seat time in RallyCross, or any other form of door-to-door racing for that matter. Nonetheless, “In the Hoonigan We Trust.” Block’s Fiesta clearly has shown it has the power needed to get ahead. If Ken can get a clean start -- see yah! It would be safe to say that a 1,2,3 victory for Ford Racing this weekend is highly likely. Dodge has also jumped into the GRC fray for 2012, with the introduction of their new Dodge Dart. Dodge has tapped multi-time XGAMES and Rally America champion, Travis Pastrana to steer them to victory. But I am feeling that Pastrana is a long shot for the victory in this the opening round of the 2012 GRC. Travis will be jumping directly from his Nationwide car and into the RallyCross car after competing in the History 300. Also, given the fact that this is the inaugural running of Dodge RallyCross car, one would be expecting a learning curve for the driver and possibly some teething problems with the car. Subaru has clearly shifted focus from the Rally American Championship where they are now only running a single car team. Teaming up with GRC title sponsor Puma, Subaru will enter a total of three cars in Charlotte. Team leader Dave Mirra will be back in the STi again for 2012, after coming off a challenging year in 2011. Mirra will be joined by fellow XGAMES Gold Medalist Bucky Lasek. It is going to be “Baptism by Deegan” for Lasek if he’s not on the pace. I have to say, I’m somewhat surprised that Subaru is throwing Lasek in the deep end not having any prior rally experience. We will see how this all shakes out. Rounding out the team, and possibly adding a little insurance for a podium spot, Subaru has again enlisted the services of European RallyCross Champion Sverre Isachsen. Barring no mechanical failures, I expect Sverre will lead the charge for the team. Although Vermont Sports Car has put a lot of development into the STi over the winter, it’s going to be a challenge for the team to stay with the nimble Fiestas, but we’re keeping an open mind. Hyundai is back with the Rhys Millen Racing (RMR) team. Team principle Rhys Millen will be joined by Stephan Verdier in the second Hyundai. It’s great to see Stephen getting this opportunity from RMR. Verdier, who ran as a privateer in 2011, in his Subaru impressed many as he mixed it up with the best, often bettering the Subaru factory effort. "Being a part of Rhys Millen Racing, this partnership gives me the best chance at the championship," says Stephan Verdier. Drivers will conduct practice and qualifying this evening, minus the gap, which has just been removed from the track layout for Charlotte. Stay tuned through the race for updates and photos.